So, today I am sharing just a few of my favorites because the post was getting too long, and I now have a running list of many more to share. I’d love to hear yours in the comments because helping each other in the meal making dilemma is such an encouragement to many. 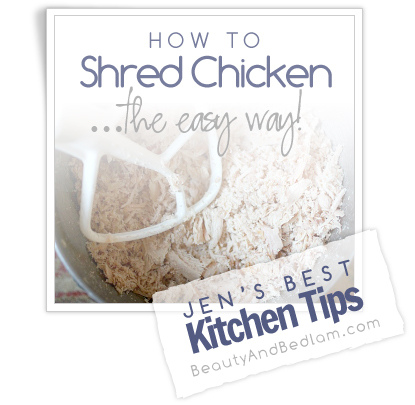 First, you must head over to my How to shred chicken the easy way post. Literally, shred pounds of chicken in seconds. It’s so much more than just learning how to shred chicken in seconds, it works for chicken, turkey, and even pork. You will wonder how you have spent hours shredding when it could be done in seconds. 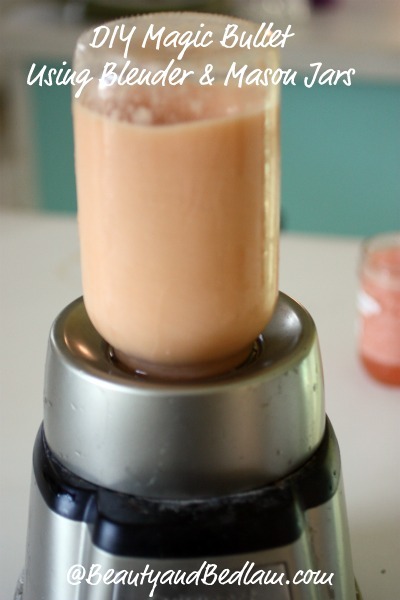 The beauty of the Magic Bullet is its ease. Well, now you have that ease with your blender and mason jars. Get our Dinners Planned and Executed with these simple ideas. 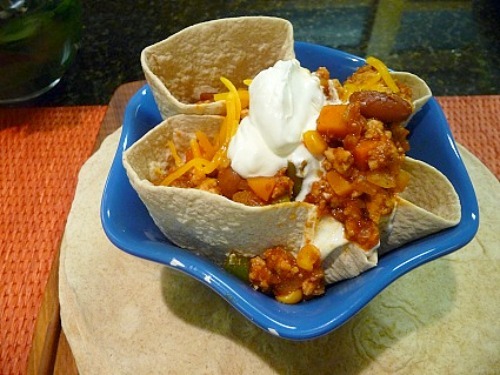 Bring the touch of a Mexican restaurant right to your own home in minutes. Always have meals in minutes by Cooking Ground Beef in the Crock Pot and having it ready to go. Then make sure you use the next tip for draining it. 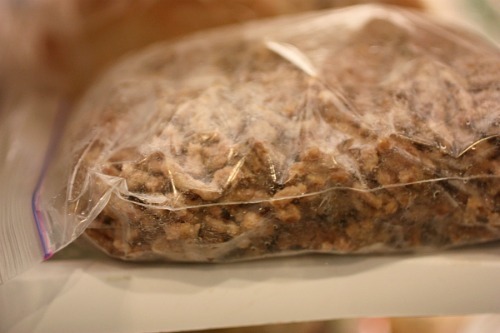 During my Power Cooking sessions, I always have pounds of ground beef cooking, but draining it becomes a huge pain. Not only does this tip take that issue and makes it easy, but it helps eliminates the unnecessary grease with great health benefits. Keep your brown sugar soft at all times with this simple tip. Those are just a few tips that have revolutionized my time in the kitchen. What are some of your favorite, yet simple, kitchen tips? 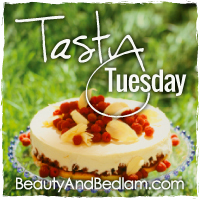 Please share with my Tasty Tuesday readers! I can’t wait to see what everyone is cooking up for this Tasty Tuesday. Thank you for hosting, Jen!! 🙂 And thanks for all the awesome tips! Thanks for hosting! I know what you mean about doing stuff for years and not realizing that others might not know about our shortcuts. I had that revelation about motherhood recently. I’ve moved out of the baby stage, and yet I never wrote about it on my blog. Time to be the mom who shares her successes and failures with the baby stage. We never know who we may help. I love your Blender Bullet tip–use it all the time 🙂 One of my tips is that if you’re going to make biscuits with your stand mixer, freeze the butter for 15-30 minutes. Grate it on the large holes of the cheese grater, and then let the mixer mix it in for a few seconds. Add the liquid and mix until the dough just comes together. Knead the dough a few times, spread into a rectangle on your cookie sheet, and use a pizza cutter to cut squares. Bake, and you’re done! We love grating frozen butter with the cheese grater! It works for soft cheese, like mozzarella too! Just either freeze the cheese for a few minutes before grating! 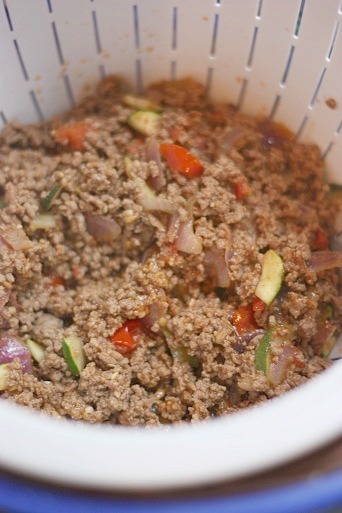 I love a good kitchen tip & I’ve never tried bulk cooking ground beef in the crockpot! That is genius. Thanks. You might also want to check out Tammy’s Kitchen Tip Tuesday – always great ideas. Can’t wait to see the tips others suggest. umm THANK YOU!! This changes meal time in so many ways!! LOVE this tip !! Wonderful tips, Jen! 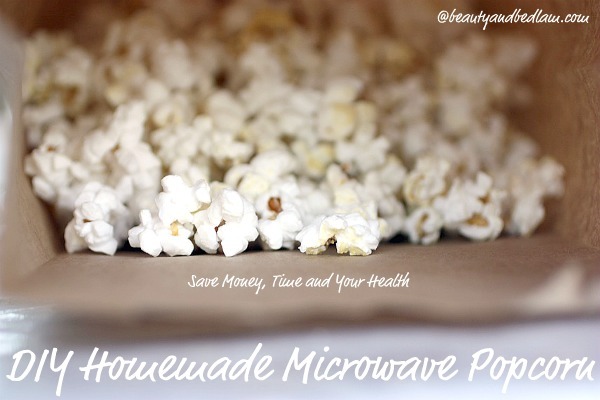 I especially like the chicken shredding one, as well as the DIY microwave popcorn. Thank you for hosting. One of my favorites came from my Mama. During the summer when you are growing (or buying cheap) bell peppers buy soem extra for teh winter. Seed them and toss into the food processor. When they are not quite pureed pour them into quart size freezer bags. 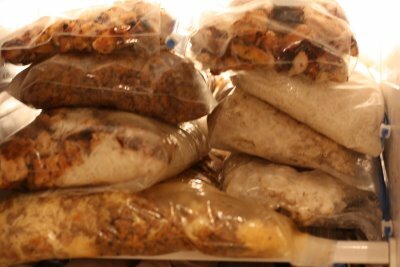 Lay flat to freeze so they take up less freezer space. During the winter when you need bell pepper for chilli or sapghetti sauce just break off what you want and toss into the pot. MUCH cheaper than mid winter peppers and tastes better too.